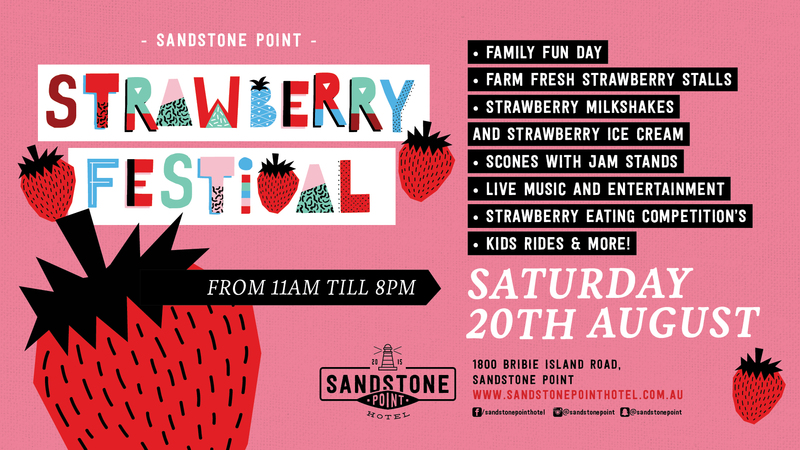 On Saturday 20th August, the Sandstone Point Hotel is hosting their 2nd Annual Strawberry Festival! Enjoy free entry for a day of family fun, farm fresh strawberry stalls, kids rides, strawberry snacks and a strawberry eating competition. The event is open to the public from 11AM until 8pm and will play host to quality live music. Family Fun Day | Farm Fresh Strawberry Stalls | Live Music & Entertainment and so much more!